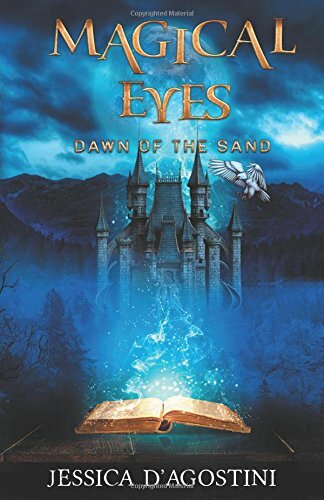 The book Magical Eyes by Jessica D’Agostini is about a princess named Martina who has secret sand powers. With these powers, Martina imagines things in her mind and can then form them. She can build sand castles and other figures in her room. On a local beach, she built a village for the local townspeople to enjoy. The only problem is nobody in the kingdom of Brightalia is supposed to have magic inside of them. Her parents are the king and queen of Brightalia. When a tragedy occurs, her brother, Drago, has to step up. His personality suddenly shifts, and the village changes drastically. Martina and her good friend, Enzo, try and save their village by destroying the cause of Drago’s personality change. Will Martina be able to save Brightalia and Drago? Will she make it in time? I don’t normally enjoy reading fantasy books, but once I started reading this book, I really liked it. I especially enjoyed the mysteries at the end of each chapter. There were surprising twists and turns throughout. I couldn’t stop reading this book. The characters in this novel were very believable and easy to relate to. I could relate to this novel because Martina was a young teenager that did everything she could to save her family. If something was going on with my family, I would also do everything I could to fix it. My eyes were glued to the pages. It was a very exciting storyline and extremely interesting. Some parts were very shocking. Overall, I loved this book and would read it again. I highly recommend this shocking novel!